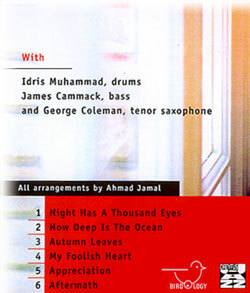 Ahmad Jamal - What's New? 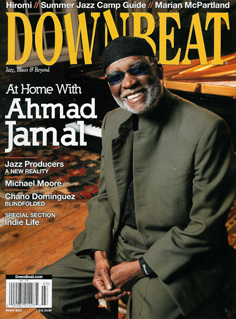 The new CD on Jazz Village..
Ahmad Jamal - DownBeat Hall of Fame.. 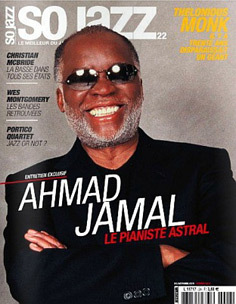 The jazz pianist Ahmad Jamal knows how to get attention and reaction, and he has been tightening his rhetoric for more than 50 years. But the experience has grown more complicated. At the peak of his popularity, in the late 1950's, his trio played so precisely that its musicians sounded as if they were wired together, and Mr. Jamal kept veering between roars and pitter-patters; while other pianists drove percussively through complicated chord changes -- which somehow seemed more honest and authentic at the time -- he was criticized for sounding mannered. Mr. Jamal's playing has become more idiosyncratic and tumultuous. His new album, ''After Fajr'' (Dreyfus), recorded live with his trio in France last year, is one of his best. The standard ''Time on My Hands,'' from the new record, describes how his old style has evolved. Mr. Jamal likes to play gentle, perfumed melodies as single notes in the high register of the keyboard. But then he balances them with darker, authoritative ringing tones from the lower end; he drawls and withdraws almost to the point of disappearing, then returns like a bulldozer, playing in a jacked-up, dislocating style. His music can be pushy and imperious, and he doesn't parse down to a recognizable aesthetic profile. In his own pieces, like ''Manhattan Reflections,'' Mr. Jamal likes to use simple melodies, funk rhythms and vamps; his band, with the bassist James Cammack and the identifiably New Orleans-reared drummer Idris Muhammad, can keep them sounding fresh for a long time under his solos while he unleashes his supply of short and fascinating diversions. Two great new jazz albums from aging pianists. Two of the year's most invigorating jazz albumsAhmad Jamal's In Search of Momentum and Martial Solal's NY-1are by pianists in their 70s whose careers are in breezy renewal. Jazz has its share of septuagenarians playing nearly as spectacularly as they ever haveSonny Rollins, Lee Konitz, Cecil Taylor, Ornette Coleman. 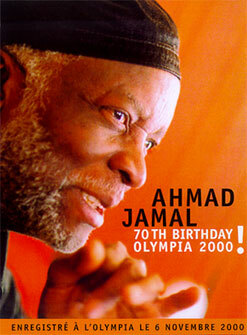 But I can't think of anyone who, in the process, has so re-energized, even transformed his sound as Ahmad Jamal. Jamal achieved huge fame in the mid-'50s for his elegant treatment of standards and for his finger-snapping original, "Poinciana" (which rose to the top of the pop charts). Miles Davis proclaimed Jamal a major influence: He emulated Jamal's soft touch and spacious phrasing; he told his pianist at the time, Red Garland, to play like Jamal; his albums of the era feature many of the same ballads Jamal played ("Just Squeeze Me," "My Funny Valentine," "But Not for Me"). Miles moved oninspired, in part, by new piano stylists, the bluesy Wynton Kelly and the harmonically inventive Bill Evansbut Jamal didn't. Jamal always possessed a stately swing, but it could easily devolve into stuffiness. I once saw him on a talk show in the '80s, ponderously protesting the word "jazz" as a nasty vulgarism, insisting that it be called "American classical music." Both he and his music lacked a certain spontaneity and joy. That charge can no longer be leveled. In Search of Momentum bristles with wit, drama, even adventure. It cooks, it simmerswhen it needs to, it boilsall without sacrificing a wisp of grace. Something happened to Jamal this past decade. The neon signs first flashed on his 1994 album, The Essence, Part 1. Suddenly, his left hand, once content to weave lush chords, was pounding out dense, discordant clusters; his right hand, while never untethered from the structure of melody, flitted and prowled on a looser, janglier leash. The album didn't quite hold together; he was exploring new concepts without yet adopting any (his new disc's title, In Search of Momentum, would have been more suitable for that one), but it offered an intriguing glimpse of possible coming attractions. His new CD provides the full picture. 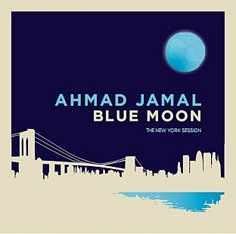 Jamal has completely integrated the lithe lyricism of old with the muscular passion of new. It's clear from the opener, the title tune: a clarion anthem in the middle registers, clanging chords way down low. The second song, "Should I," is a jaunty number but with an edge. Jamal displays extraordinary dynamic range and fine precision at each shade, moving from crystalline triplets to heavy block-chords and back again without a seam. His rhythm section, which has been with him since The Essence, provides more color and counterpoint than mere accompaniment. James Cammack plucks the bass strings hard; the thing growls while it walks. Idris Muhammad crackles all around the rhythm on his trap set, smacking the snare in unexpected places, suggesting the beat rather than pedantically counting it. When Jamal moves from hard to soft, it's as if he's shifting first in synch, then in contrast, with his players, which lends a piquancy to the song title. 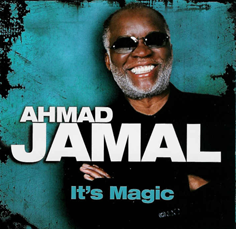 Songs, including song titles, havealways have hadmeaning for Jamal. On "I've Never Been in Love Before," he rushes through a recitation of the melody but backs it with evenly paced, rhythmically deft chord changes, making the line sway in spite of itself. Deeper into the song, he shifts from single-note melodic phrases to heavily embroidered bursts, or he rushes ahead of the beat, then lags behind, creating a cauldron of tension, the sense of anxious longing yet also tenderness that lies at the heart of this standard. On "Where Are You Now," he insouciantly dashes across the keyboard like a sonic Astaire, effortlessly fluid; the trills aren't abstract or gratuitous, they convey the fleeting feel of seeking. The only weak spots of the album are "Whispering," which features an over-the-top velveteen singer, and the final two tunes, Monty Alexander's "You Can See" and the standard "I'll Always Be With You," both edgelessly bouncy. Otherwise, the disc is a thrill: spry, dashing, tight but looseJamal's majesty without the dread hush. Maybe he'd even dare call it jazz. 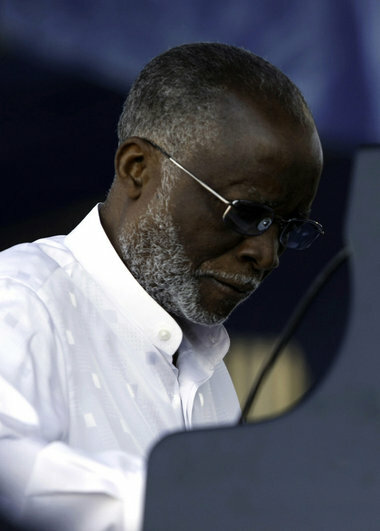 At 72, pianist Ahmad Jamal, a longstanding jazz great, is stretching farther than any young self-proclaimed avant-gardeist on the scene. Why? Because he doesn't believe that new musical languages disqualify older ones. Perhaps this is why this record is so exciting. Side by side we hear plaintive balladry, Kansas City- oriented blues and swing, gospel cadences, and devices from twentieth century classical music. We hear all the Ahmad Jamals at once; together they're exhilarating. The trio includes drumming great Idris Muhammad and Mr. Jamal's longstanding bassist James Cammack, who weave through and undergird Jamal's pianistic flights. The record also includes an appearance by the late vocalist O.C. Smith. Don't miss this one - Mr. Jamal's at the height of his powers. 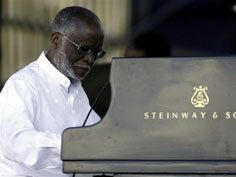 It's an old story now--Miles Davis' often stated affection for the playing of pianist Ahmad Jamal. In Davis' autobiography, in fact, he frequently refers to the Jamal qualities he found so appealing--dramatic pacing filled with contrasting dynamics, a buoyant rhythmic flow and the frequent use of songs, often from the musical theater, not often heard in jazz in the '50s. All those qualities, and more, were on display in the opening set by the Jamal Trio on Tuesday night at the Jazz Bakery. Working with bassist James Cammack, who has been a musical associate of Jamal's for 18 years, and drummer James Johnson--a more recent arrival who has now become well integrated into the group--the pianist entertained with a programranging from originals to a standard or two, climaxing with a necessary run through his hit "Poinciana." 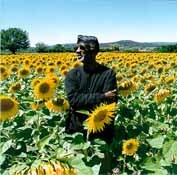 A musical Cubist at heart, Jamal's typical approach was to assemble congeries of familiar, accessible elements--rich harmonies, rhapsodic keyboard sweeps, miniaturist melodies--in startling, new perspectives. Nothing was ever quite what it seemed, even in a familiar standard such as "Like Someone in Love." Fragments of melody suddenly erupted into explosive chording, followed by theatrical drop-offs into complete silence. If there was a problem with the set, it was the minimal amount of familiar material. 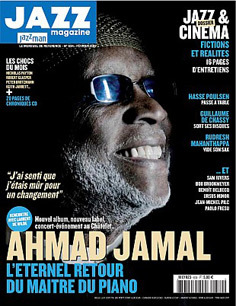 Jamal can be a first-rate composer, and the originals he included in the program offered intriguing qualities. Lacking the instant reference point that standards provide, however, it was difficult to fully relate to Jamal's capacity to transform his material, to deconstruct and reassemble while still retaining contact with the original theme. 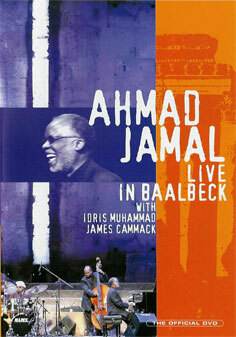 Still, Jamal is one of the fully potent survivors of the great creative jazz wave of the post-World War II years. Hearing him is hearing an icon in action, working in a style that is as alive now as it was five decades ago. 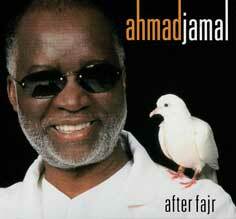 * The Ahmad Jamal Trio at the Jazz Bakery. 3233 Helms Ave. Tonight through Sunday at 8 and 9:30 p.m. $25. (310) 271-9039. IME was when nost pre-LP jazz recordings were rarities available only to resourcefull collectors with deep pockets. 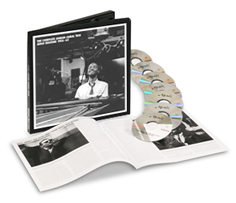 But with the introduction of the compact disk - together with Europe's copyright laws, under wich both European and American records enter the public domain 50 years after their initial release - led to a revolution in the accessibility of calssic jazz. With a few glaring exceptions (the early 78's of RedNichols nad His five Pennies foremost among them), nearly every historically significant commercial recording of jazz made before 1948 has been transferred to CD or is slated for future release. Not so jazz LP's. While it's easy to find landmarks, the "kind of Blues" and "Giant Steps," many outstanding albums by important artists have yet to be reissued on CD. Some are lost in the limbo of legal disputes; others have simply been overlooked, often because changing tastes have rendered them temporarily unfashionable. Here, for example, are 13 first-rate jazz albums recorded from 1955 to 1982, none of which has ever appeared on CD in the United States. Through Mr. Jamal's "classic" trio, with Israel Crosby on bass and Vernel Fournier on drums, is amply reresented on CD, this influential record by the pianist's earlier, ddrummerless group, with the guitarist Ray Crawford in place of Mr. Fournier, remains unavailable. The Jamal fan Miles Davis must have worn our at least one vinyl copy - "All of You," "It Ain't Necessarily So" and Mr. Jamal's own "New Rhumba" all turn up on Davis' Subsequent albums. 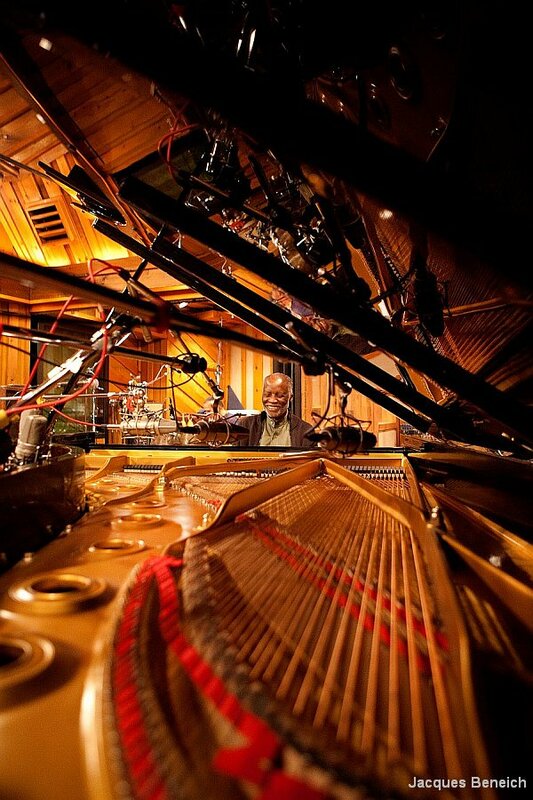 Forty years after commanding attention as one of Chicago's leading ongoing attractions, pianist Ahmad Jamal continues to hold this city's jazz fans in the palms of his busy hands. That he is able to maintain their devotion, having evolved into a very different stylist, tells you two things: Unlike some veteran artists, he has never lost the ability to renew himself, Nor has he lost his gift for pleasing average listeners without compromising his art one bit. Jamal has always been a master of dynamics. They are his bread and butter. He thrives on abrupt shifts in time and tempo, contrasts between light and dark and shrewdly designed games of tension and release. He attacks his panoramic canvases like an action painter, continually splashing the surface with bold effects without ever relaxing his involvement in the nuances that give them character. Standard song form can't contain him. Even in his most laid-back moments, his notes run over the sides. 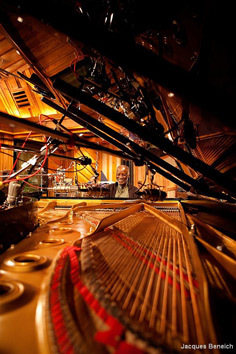 But for all that, Jamal has never revealed the bite and propulsive power he did Tuesday at the Jazz Showcase, where in recent times only McCoy Tyner has created as much keyboard excitement. Concerning himself less than usual with flashing instructions to his bandmates, he did conducting through his emphatic playing. Much of the set was poised between convulsively hammered bass notes and delicate, sweetly turned figures higher up on the keyboard. There were fractious phrases and atonal touches to start the set and flights of lyrical fancy to finish it. Much of the excitement could be credited to the outstanding chemistry of the trio. It included Chicago bassist James Cammack, a longterm, on-and-off associate of Jamal's, and veteran drummer Idris Muhammad, the latest in a series of accomplished New Orleans battery men to back him--and possibly the most hard-edged. It can't be easy keeping up with Jamal's mood swings, particularly on the first night of an engagement. But Cammack and Muhammad were with him on every hairpin transition, grinning in surprise, whether bringing a dark, primal urgency to "Wild is the Wind" or dancing on themelodic curves of a freewheeling treatment of "Easy to Love." 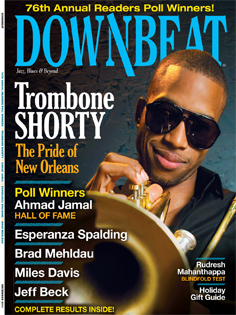 Muhammad, who has showed off the Crescent City funk side of his talent at the Showcase backing guitarist John Scofield, reveled on this occasion in hard knocks--in thudding rim shots and resounding malleted cymbals and steady drilling on his snares. But when you're discussing a Jamal trio, there is no taking anyone's contribution out of context. Through example and inspiration, this pianist exerts his will every step--and side-step--of the way.